As the three main US indices (Nasdaq 100, S&P 500, & Dow Jones Industrial Average) continue to hover near all–time record highs, investor fear continues to hover near all–time record lows. One of the most common ways to gauge investor fear in the market comes from the CBOE Volatility Index, commonly referred to as the VIX, which measures the implied volatility of S&P 500 options. The concept is simple: when turbulence is expected in the market, investors are willing to shell out more money to protect their portfolios by hedging with options, and when no turbulence is expected, investors don’t have the need or desire to protect their portfolios. A higher VIX = more volatility expected. A lower VIX = less volatility expected. Recently, any small spike in the VIX has been abruptly quashed due to the relentless and steady rise of the major indices. Out of 252 equity trading days in the past year, there have only been 38 days where the VIX has been south of the $12 level. Therefore, based on the current low price of the VIX, equity market participants are pricing in virtually zero downside risk or fear, even at record market highs. However, this is where the plot begins to thicken. Although the VIX suggests that there is essentially zero fear in the equity market, the gold market tells a slightly different story. Currently, gold is already up approximately 2.3% for the year, adding more than $50 since the low point of $1124.3 in mid–December. 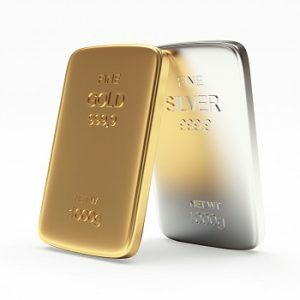 Analysts attribute the recent rally in the precious metal as a flight–to–quality amid lingering concerns about what 2017 has in store. Perhaps the biggest cause of doubt and uneasiness for US financial markets comes form an unexpected presidential election result. This is not to say, however, that investors are not also keeping a careful watch on European political changes as well. This is likely why gold is off to a very solid start for 2017, because unlike the VIX in US equity markets, there are other factors besides fear that are pushing the precious metal higher. With that said, US institutional investors are closely monitoring China’s mounting currency problem, because it was China’s government devaluation of the yuan back in August of 2015 that sparked a severe US equity sell–off and sent gold soaring. Therefore, not only are investors from China buying gold to seek refuge from a drowning currency propped up by the government, but US investors are also purchasing gold as a heaven in case the yuan crisis worsens and the effects are felt in the US stock market, again. Macroeconomic factors like China’s currency crisis, trepidation about new US politics, and complacency with stocks at record highs are all valid reasons to own gold, and this consequently explains the recent rally. Once again, this underscores the benefits of owning gold as an investment, because not only can market fear instigate a rally, but other underlying economic factors can as well – and this is precisely what is happening.